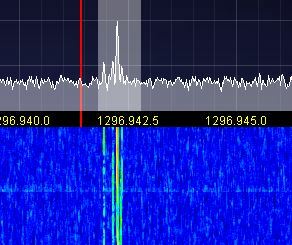 A long time monitoring of the beacon F1ZMT in JN07CX via Aircraft Scatter on 1296.872 MHz shows asymmetrical reflections on most of the crossing planes. As the distance to the beacon is 624 km and it´s ERP of just 10 W (a panel antenna to the south combined with an omnidirectional big wheel) is rather QRP, only weak reflections can be detected from time to time. This ensures, that received signals were reflected on single airplanes. 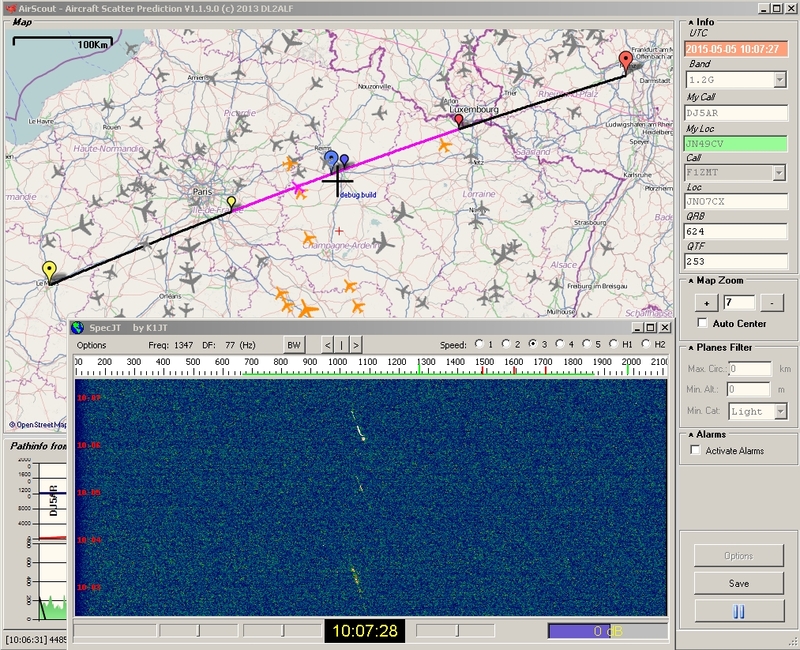 In this example can be seen, that the reception starts shortly before the plane crosses the path between DJ5AR in Mainz and F1ZMT in LeMans. 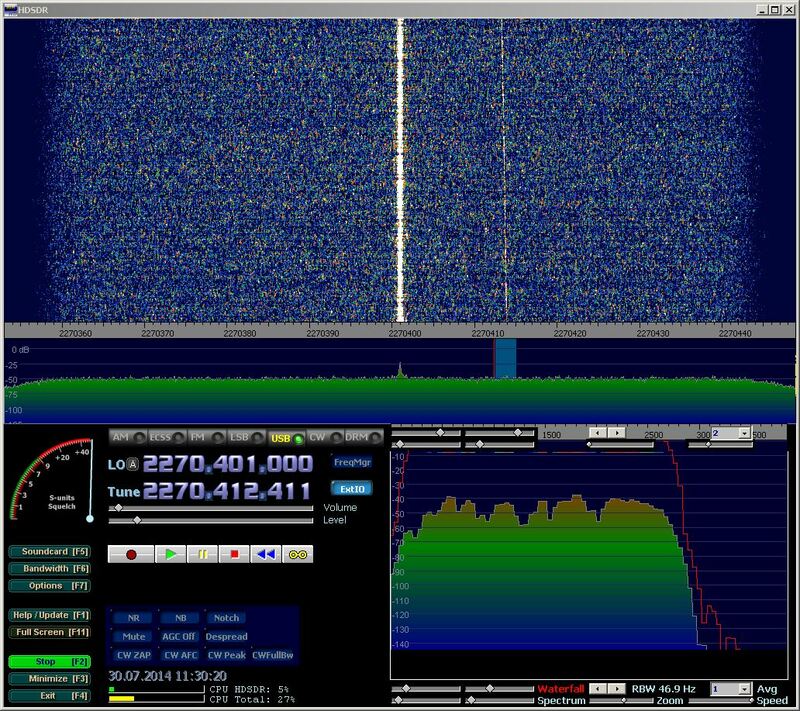 Unexpectetly the signal can be seen for quite a while after crossing. There is a continuous variation of the doppler shift and no spread of the signal, as is usual for a moving solid reflector. This entry was posted in Aircraft Scatter, Beacons and tagged 1296 MHz, 23 cm, Aircraft scatter, beacons, DJ5AR, F1ZMT, LeMans, Mainz on 2015-06-08 by admin. 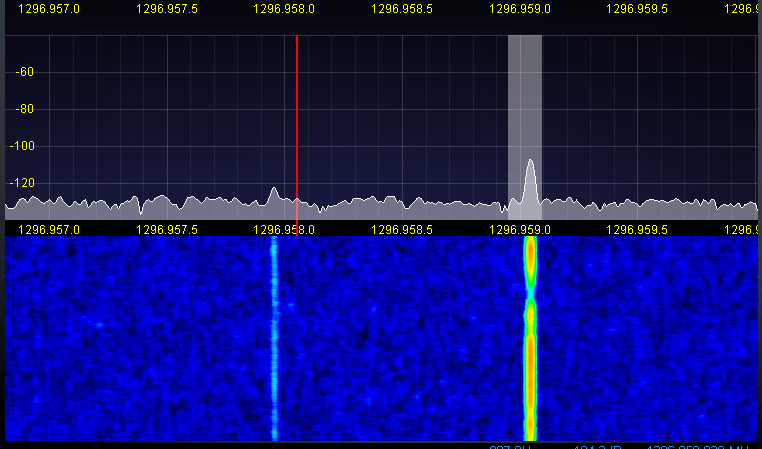 The monitoring of distant beacons can be a boring job, even when using the waterfall diagram of a SDR. I prefer SpecJT of the WSJT package in JT65c mode. It is much more sensitive and even at slow speed faint refections can be seen clearly. 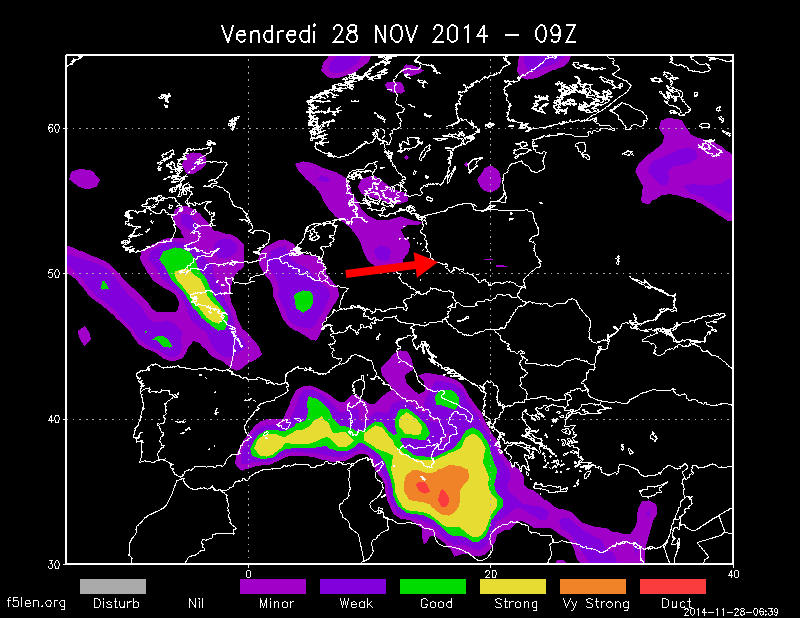 The example shows F1ZMT in JN07CX, 624 km from Mainz. 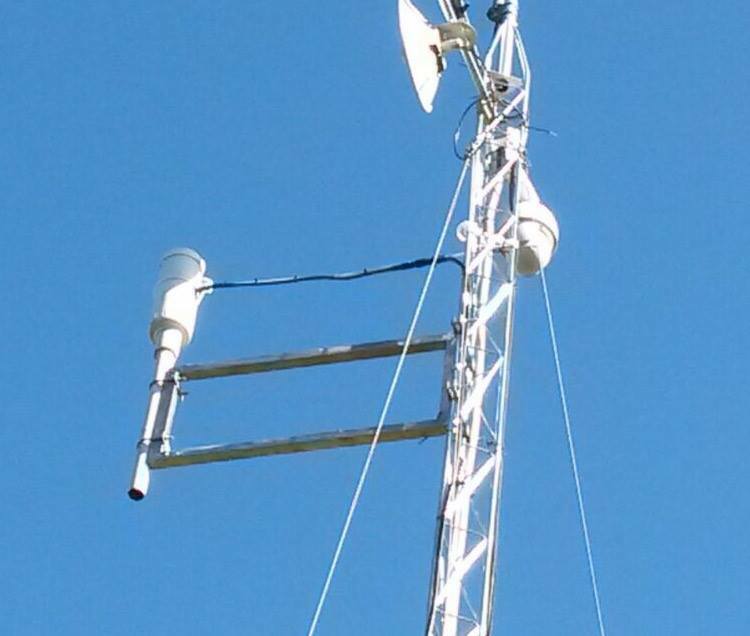 The beacon operates 10 W into an omnidirectional antenna on 1296.872 MHz. The reflections in the screenshot were caused by 3 airplanes crossing the path one after the other. 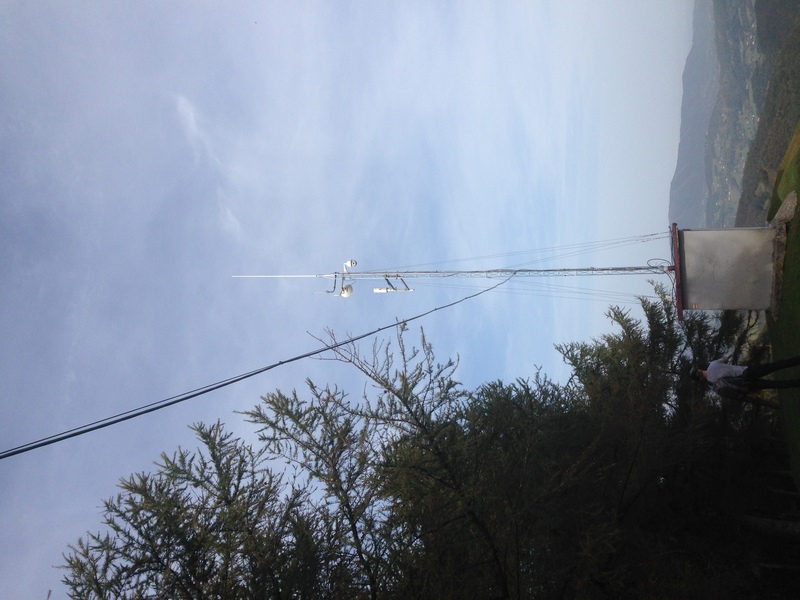 This entry was posted in Aircraft Scatter, Beacons and tagged 1296 MHz, 23 cm, Aircraft scatter, beacons, F1ZMT on 2015-05-05 by admin.